Changing broker remuneration off the back of the royal commission’s recommendations could cause “significant negative repercussions for the industry and Australian borrowers”, the heads of two major brokerage brands have warned. Last week, the final report from the Royal Commission into Misconduct in the Banking, Superannuation and Financial Services Industry was released, recommending that changes in brokers’ remuneration should be made over a period of two or three years, by first prohibiting lenders from paying trail commission on new loans and by then prohibiting lenders from paying other commissions to brokers. While the government has already committed to banning trail next year, it has said that it will wait three years before reviewing the feasibility of moving to a consumer-pays model. The industry has reacted with shock, anger and dismay at the royal commission recommendations, with some saying the changes would have a “significant impact” on the viability of the broker channel and potentially damage competition in the marketplace. Now, the heads of two leading brokerages have joined the chorus, with both YBR chairman Mark Bouris and Aussie CEO James Symond warning of the potential negative consequences of radically changing the broker model – and a non-major lender's head of distribution telling brokers of his support for their work. Writing for The Sunday Telegraph over the weekend, the chairman of Yellow Brick Road and chairman of the SME Association of Australia, Mark Bouris, issued a warning about the consequences of the royal commission recommendations. Mr Bouris said that while the commission “illuminated the darkest and dirtiest corners of Australia’s financial sector and a tidal wave of long-overdue change will soon be colliding with our biggest banks and lenders”, he warned that there was also “a risk of others being washed away in the resulting floodwaters, accidentally leaving us in a worse position than we are in today”. “The first victim appears to be the country’s mortgage-broking industry, with the Hayne report recommending a monumental shift in the way the business operates, changing from a commission-based to a user-pays system,” he said. “On paper, what that means is that, rather than the banks and lending groups paying mortgage brokers for their services, that responsibility would instead fall on the people actually applying for a loan. “In the real world, though, it means something else entirely. Because you and I know that is never going to happen. Buying a home in Australia is difficult enough, what with our sky-high prices, monstrous stamp-duty obligations and ever-tighter lending criteria. “And with all those demands on our limited funds, who among us has an extra $10,000, or more to pay a mortgage broker for their help in compiling a loan application and finding us the best deal?” he asked. Noting that mortgage brokers “aren’t millionaires” and that the majority of brokers are “lucky to take home between $50k and 60k”, he continued: “[E]ach and every one of them will have to find new jobs in new industries if these changes go ahead. Mr Bouris added that the current lending environment represented “the most complicated and complex time [he] can remember to get credit”. “It’s not easy, and it’s getting harder every single day, and without the option of being able to easily shop around, fewer people will secure finance,” he wrote. Mr Bouris concluded that the changes could mean that a buyer’s only option would be to visit the banks, “which will regain their stranglehold on the mortgage market”. “[I]f we’ve learned nothing else from the royal commission, it’s the impact that a monopoly (or quadropoly) has on competition in this country,” he said. As chairman of mortgage brokerage Yellow Brick Road, Mr Bouris conceded that while he “does have a horse in this race”, he also was “not blind to the flaws of our broking industry”. “Rorting does occur, most notably with brokers fudging figures to secure finance for people that really shouldn’t get it, and thus may not have the means to comfortably pay it back. “The Australian Securities and Investments Commission should — and does — come down on those rogue operators with the full weight of its powers. And as an industry, our focus should be on education and compliance above all else. “But to make borrowers pay for a mortgage broker’s service will kill the industry overnight,” he said. Meanwhile, Aussie CEO James Symond said the recommendation made by the royal commission to move to a consumer-pays-broker model could hurt the mortgage broking industry as well as the customers it supports. He said: “Mortgage brokers provide a very important service to borrowers across Australia. Data shows that customers value the service that a mortgage broker provides, with this industry now accounting for almost 60 per cent of all home loans written. “Independent research shows 58 per cent of consumers will not be prepared to pay an upfront fee for a home loan, so any move to change the current system could cause significant negative repercussions for the industry and Australian borrowers. Mr Symond added that in 2018, 66 per cent of the loans provided by Aussie brokers (of which there are approximately 1,000 brokers at 225 retail stories) were with lenders "outside of the big four banks”. The Aussie CEO said he welcomed the federal government’s recognition of the critical role brokers play and went on to encourage all sides of politics to constructively engage with the mortgage broking industry and borrowers to understand the valuable and vital role brokers play in the Australian lending market. He concluded: “Consumers, small business owners, their employees and families, smaller lenders and others have the potential to be negatively impacted by the proposed reforms. “It is imperative we protect consumers and competition in the market. “Reduced competition in the lending market, tightened access to credit, less choice, higher interest rates are expected to be the outcomes for consumers, who will find it harder and more expensive to secure a home,” the Aussie CEO said. Brokers also recently heard from ING’s head of distribution, Glenn Gibson, who left a personal voicemail message to brokers this week voicing his support for the channel. In his message, Mr Gibson said: “It goes without saying that this has been a challenging week for the broker community. I wanted to let you know that ING has supported the broker channel for over 20 years and we will continue to support you now and into the future. “Competition in home lending benefits all Australians and an ongoing viable broker industry is important to achieve this. Speaking to The Adviser, Mr Gibson added: “As I said in my voicemail, ING has been a passionate supporter of the broker channel for 20 years and that’s not going to change. 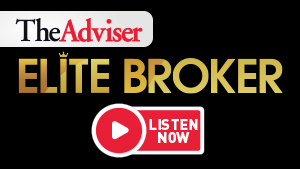 The commentary comes amid ongoing campaigning from the broker channel. As well as individual action taking place at a grass-roots level, a new campaign backed by the Mortgage & Finance Association of Australia, along with several aggregators and lenders, was launched last week reminding borrowers of the value that mortgage brokers provide in providing competition, choice and access to credit.